Radiology (Digital X-rays) 2 types: 1) Conventional 2) Dental. Your Mississauga veterinarians since 1979.
health care needs for your pet. 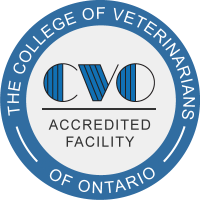 Our Animal Hospital(s) both in Mississauga and Oakville, Ontario are dedicated to providing excellence in veterinary care in medicine, dentistry and surgery for your pet. Southdown Animal Clinic was founded in 1979 by Dr D V Warren and has been an integral part of the pet health care community in Mississauga, Oakville and surrounding areas for over 35 years. We are proud to offer all our services in a compassionate, understanding and caring environment with emphasis on client education and preventative medicine. Meet the Veterinarians & Team of Southdown Animal Clinic in Mississauga! Learn more about our community involvement with the humane society and other rescue organizations. Please note* The Hospital is open 11:00am – 1:00pm Sunday and all major holidays to provide services for our clients and patients. We are available for emergencies for your pet during our Hospital Hours (905) 823-3900. © 2019 Southdown Animal Clinic.